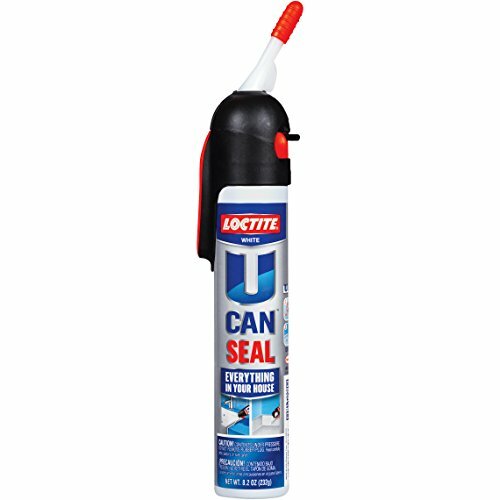 Loctite UCAN SEAL is a premium grade water-based caulk formulated for use everywhere around the house. UCAN SEAL comes in a unique pressurized applicator that is easy-to-use and completely eliminates the need for a caulking gun. Bonds to almost any surface including wood, concrete, metal, ceramic, drywall, plaster and much more. The mold resistant formula remains flexible, abrasion resistant to hold up to repeated scrubbing, is waterproof and paintable after 30 minutes. 8.2 oz. pressure pack. ECYC Waterproof Adhesive Tape Kitchen Sink Joint Crevice Sticker Green Mildew Proof Caulk Sealer,1.5"